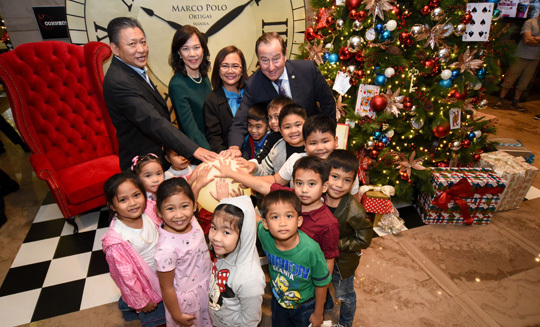 The season of joy has officially begun as Marco Polo Ortigas Manila, this year's Forbes Travel Guide Five-Star Award winner, unlocked the doors to Winterland with a ceremonial tree lighting last November 21. This year’s theme comes from the classic tale that brings guests to a magical journey. Hotel General Manager Frank Reichenbach welcomed corporate clients, in-house guests, and media partners for gracing the event. “Christmas is a time for family and true friendship. This year’s theme, Whimsical Winterland, brings to life the Lewis Carroll classic, Alice’s Adventures in Wonderland. We are pleased to present how the world can and is indeed more vibrant, enchanting, and delightful when viewed through the eyes of innocence. It is by reveling in childlike wonder like Alice did in the beloved children’s story, that we may begin fully embracing what this season means for all of us,” Reichenbach said. 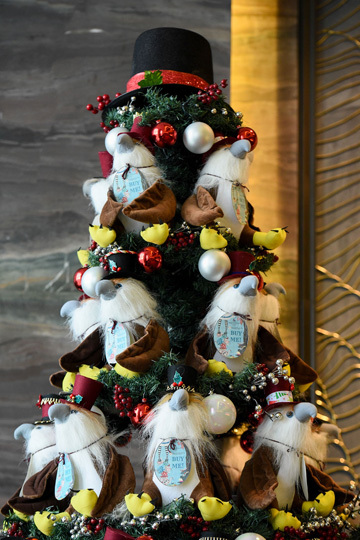 Sharing the spirit of Christmas, the children of Riversprings School were gathered to light up the 25-foot Christmas tree together with the owning company, Xin Tian Ti. The hotel also announced its third annual Wings of Hope program. Guests are encouraged to adopt an eagle stuffed toy for a minimal fee of P650, with proceeds supporting the Philippine Eagle Foundation’s efforts in preserving and looking after the national bird.